As we told you in a previous article, Amazon Business. Everything that you like about Amazon for companies, Amazon Business is the new Amazon.com solution created especially for companies. It offers the selection, comfort and quality that millions of customers around the world enjoy on Amazon, but with unique features tailored specifically for companies. Among these new advantages, Amazon Business incorporates the display of prices without VAT, automatic invoicing relative to VAT in millions of products, corporate multiuser accounts, tools for managing expenses and business analytics. In short, what this new service achieves is that companies save time and money by choosing between a large number of products and suppliers with absolutely competitive prices. Variety, quality and convenience: Amazon Business helps companies simplify the entire purchasing process. It is a service that helps them find, compare and buy what they need, with flexible payment options and fast and reliable deliveries. In addition, functionalities specifically designed for companies are incorporated. Useful shopping tools: With Amazon Business, companies gain more control over purchases, with approval processes, billing policies related to VAT and expense management. It also includes tools that allow the integration of existing purchasing systems and obtain detailed analytics and statistics of orders and their management. Free accounts: Unlike other similar services, Amazon Business accounts are free and multi-user. The first thing you need to know is that you do not need a tax identification number (NIF) to create your Amazon Business account. It’s optional. In fact, if you wish, if you do not want to add a NIF during registration simply leave the field blank and continue with the registration. After your registration you can add it at any time through “Preferences of purchase” in “Your Account”. Of course, having registered your NIF is important because it will be printed on your invoices. Of course, it is important that when you add it, you notice that it is complete and follow the appropriate format: ES123456789 (2-digit country code followed by a 9-digit number). If not, you may receive an error message informing you that your NIF is incomplete or does not meet the required format. Can only purchase managers create accounts? Absolutely. You can create an Amazon Business account for your company even if you are not a purchasing administrator. Once created, you can always add administrators and your purchasing team as additional users or as account managers. When creating your Amazon Business account you must use your company email. Amazon uses email IDs as part of its verification process to ensure that you, as a user, work for the company for which you created the account. Likewise, the use of generic emails type info@email.com is not recommended. On the other hand, if you already have an Amazon account associated with your business email, before registering your new Amazon Business account you should change your email address in your personal Amazon account by a personal email address. You can do it in the option “Login and security” of your account. Once you have completed the change in your personal account, you will be able to create your new Amazon Business account with your company email. If you decide to convert your personal Amazon account into an Amazon Business account, your Amazon Prime subscription will be automatically integrated into your new account while maintaining all its advantages. We hope to have solved some of the most common doubts about this new Amazon service for companies. 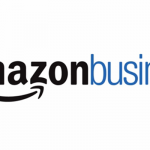 If you need more information or have any questions, do not hesitate to visit the web of Amazon Business.